Click on the image to read all the details. I figured if I stuck it on here, it's more likely to actually happen. Right? 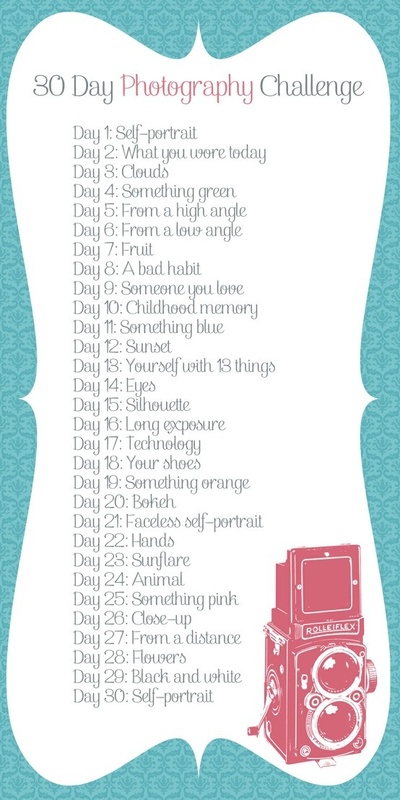 I pinned this 30-day photo challenge a long time ago. Months ago. Back when I got my new lens and was excited about getting better. Maybe I've gotten a tiny bit better since then, but it's time to crack down. And I don't think I'll ever get to where I want to be until I get off Pinterest and put the camera to my face. So there it is. 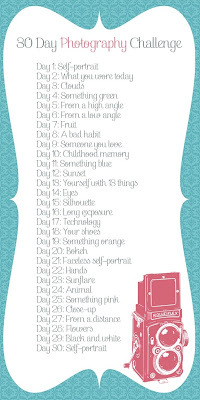 Notice it doesn't say 30 Consecutive Day Photography Challenge, so don't expect me to be on top of it and definitely don't expect me to replace your favorite little boys with the subjects listed above. The camera loves them too much for that. Stay tuned as I post my challenge results and if you, too, are looking to progress yourself in the complicated art of portrait photography, please join me. I'd love to see what you're snapping. Have a happy Wednesday, y'all!